Add the perfect finishing touch to your kitchen with a splashback. Our white glass splashback measures 750mm x 1200mm x 6mm and has been manufactured from toughened glass. Use as a wall covering for the space between your wall and base cabinets for a clean, seamless look throughout your entire kitchen. The high-shine finish of this white gloss kitchen splashback creates an air of elegance in any home. 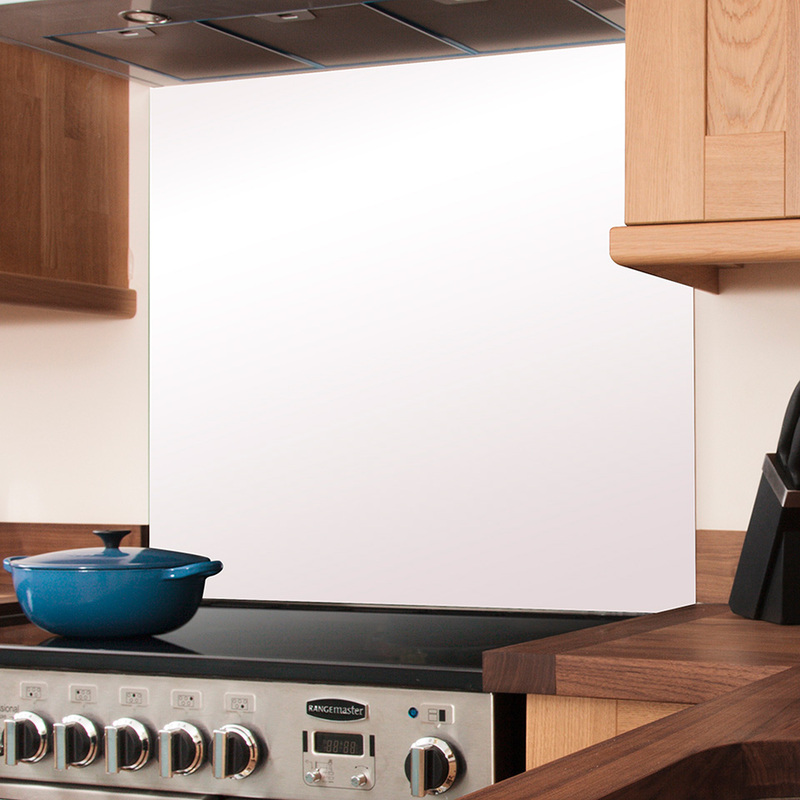 Heat and scratch resistant, this splashback is constructed in the UK to the highest of standards. Our white glass splashback provides a stylish and hygienic alternative to tiling, and can be cleaned easily using a soft cloth and some warm soapy water. This low maintenance option offers a true depth of colour thanks to the use of Optiwhite™ glass, which prevents any occurrence of a green sheen. When you are ready to purchase your white gloss kitchen splashback, select the size you need below to add it to your shopping cart. We have this item available and in stock to ensure swift delivery.